This year in March, the first filed event was the seminar in the UAE, organized by our partner Riad Chazbek, with whom we’re successfully cooperating for more than 8 years and value his contribution into the development of the VedaPulse project in the Middle East. Besides education of the VedaPulse users and lectures, a work group for the studying of the local endemic species of herbs was created. 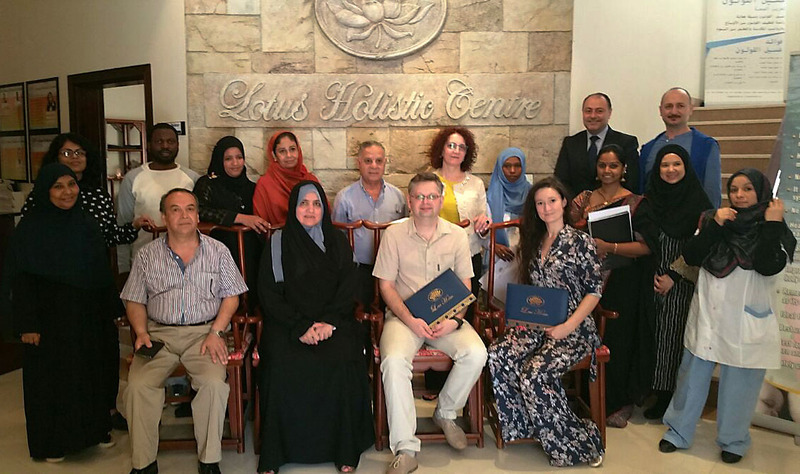 The goal of the work of this group is including the herbs, which grow on the Arab Peninsula, in the “Herbal therapy” module. 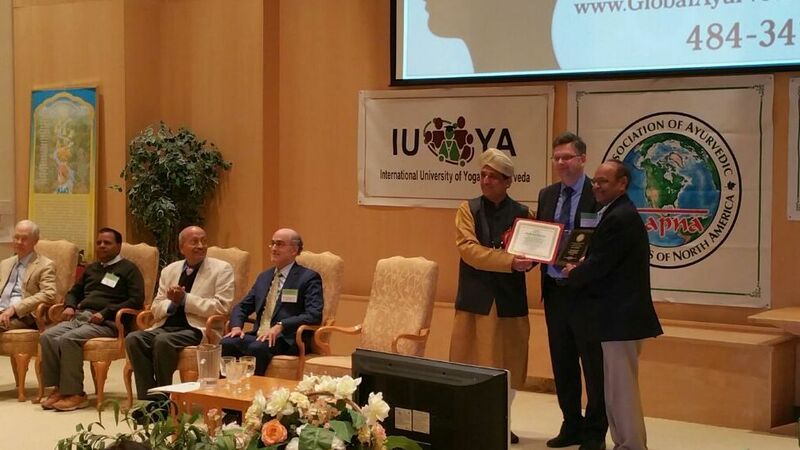 We took part in the 21-St international conference on "Ayurveda&Psychology", held at Maharishi University of Management, Fairfield, Iowa, USA. 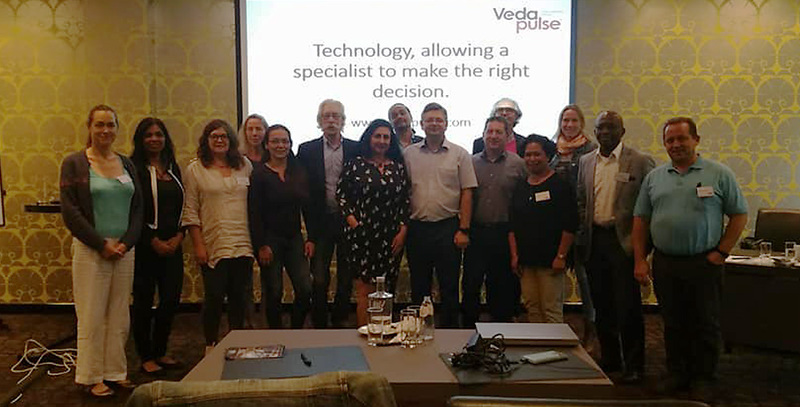 October was marked by a regular filed seminar in the Netherlands for the specialists of the Benelux countries, where VedaGenetics project and lectures on the correlation of the TCM syndromes and types in Ayurveda were presented. VedaPulse team gives a shout-out to our dealer Mr. Robert Verheij and his company VedaPulse Benelux for organizing this event! We continue to strengthen our connections with India. 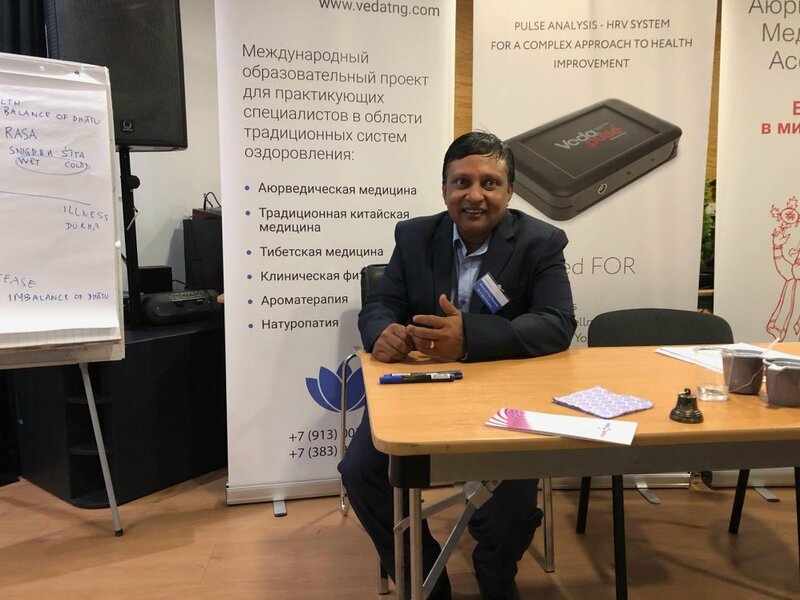 The leading developer of VedaPulse, Dr. Oleg Sorokin held a seminar on the homeland of Ayurveda, where he taught the authentic specialists the art of hardware diagnostics of the heart rhythm. 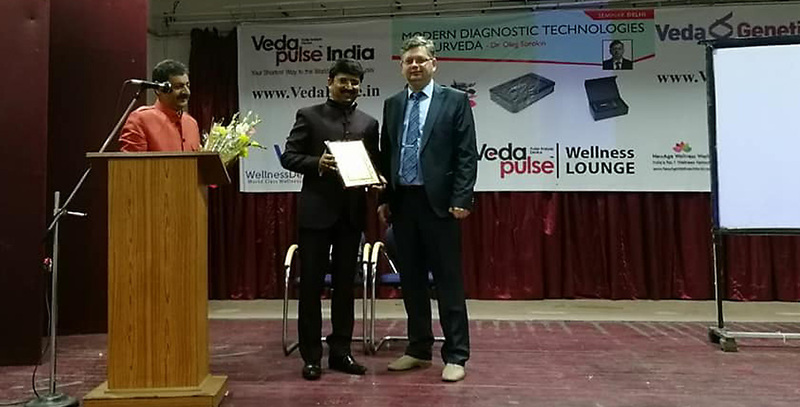 We would like to express gratitude to our dealer in India – Mr. Sandeep Goswamy for his efforts in promotion of VedaPulse products and organizing the seminar in New Delhi. 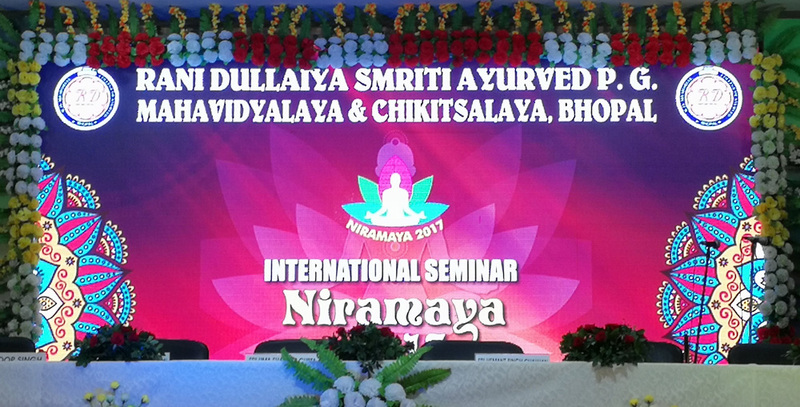 The second stage of the Indian trip was visiting of Central India (Bhopal) together with our partner Dr. Nitin Agrawal, CEO of Bliss Ayurveda company, with a speech at the international Congress "Ayurveda in the treatment of psychosomatic disorders - Niramaya-2017", held at the premises of Ayurvedic College Dullaiya Rani Smriti Ayurved Mahavidyalaya P. G.Χkitsalaya, Bhopal. 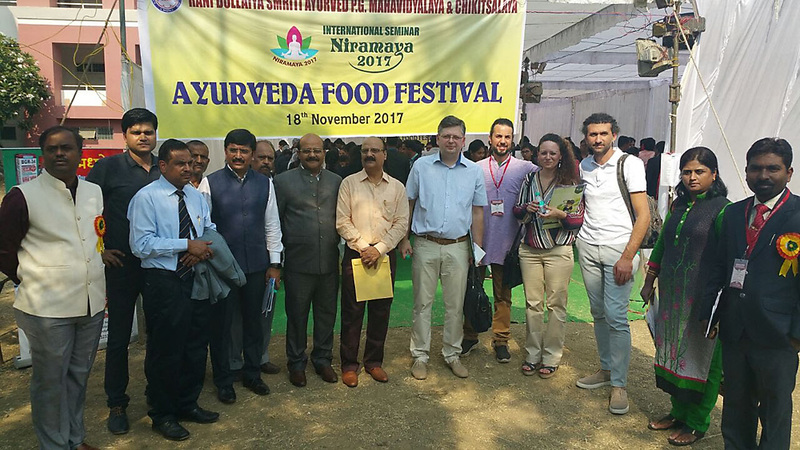 In addition to the brilliant and highly professional presentations, the VedaPulse team was amazed by the entertaining part of the Congress: students singing and dancing, heads of the College singing, and, as a topping on an ice-cream - fascinating Ayurvedic cuisine festival. We also continued joint study with the colleagues from Ayurvedic College of Amrita Vishwa Vidyapeetham. The results of the second stage of studies (the first one was held in 2016) were published in a prestigious scientific Journal of Ayurveda and Integrative Medicine. Stay tuned for an article about this study! 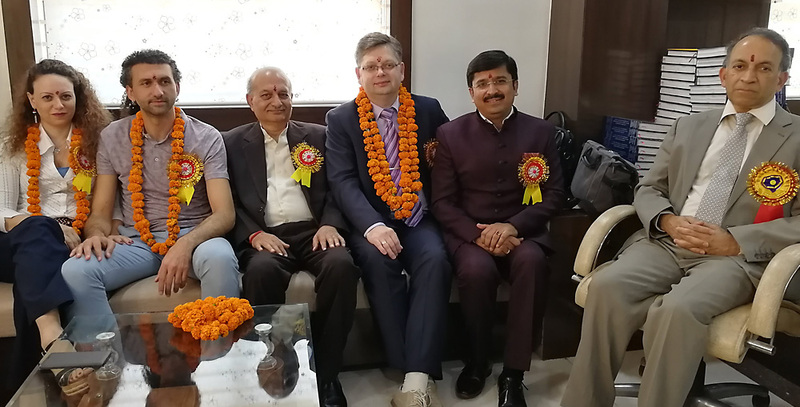 It would not be superfluous to note that Dr. Ram Manohar, research Director of the University of Amrita, who was directly involved in the study, visited Novosibirsk, where he held a full-time one-week course on the basics of Ayurveda training for Russian specialists. 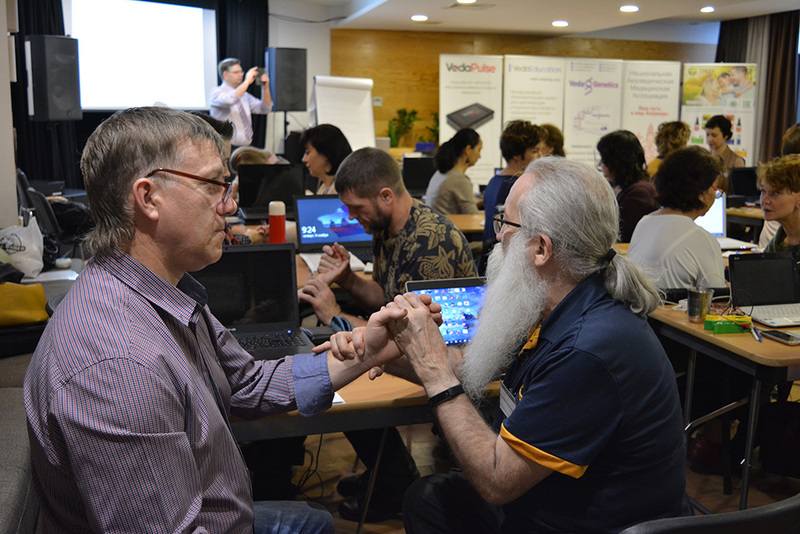 November was a month for a unique all-Russian seminar "VedaPulse-2017", which is usually held once in three years. 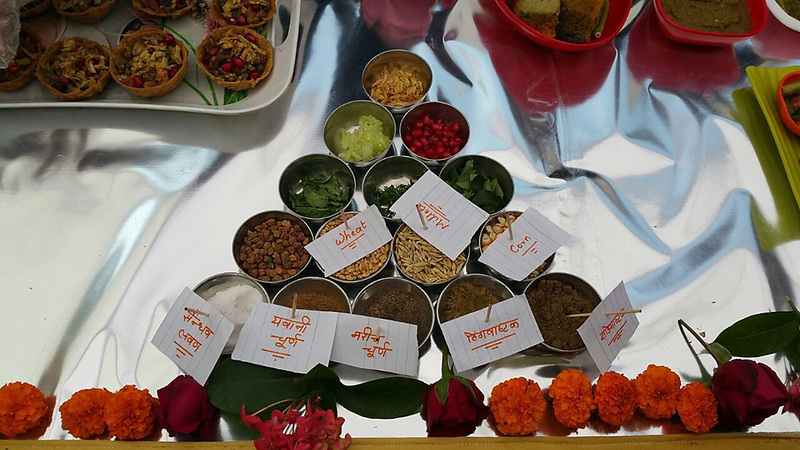 During a week, more than 40 users and those who want to start using the device, have been learning a conceptually new information on the correlation of syndromes in TCM and types of constitution in Ayurveda. 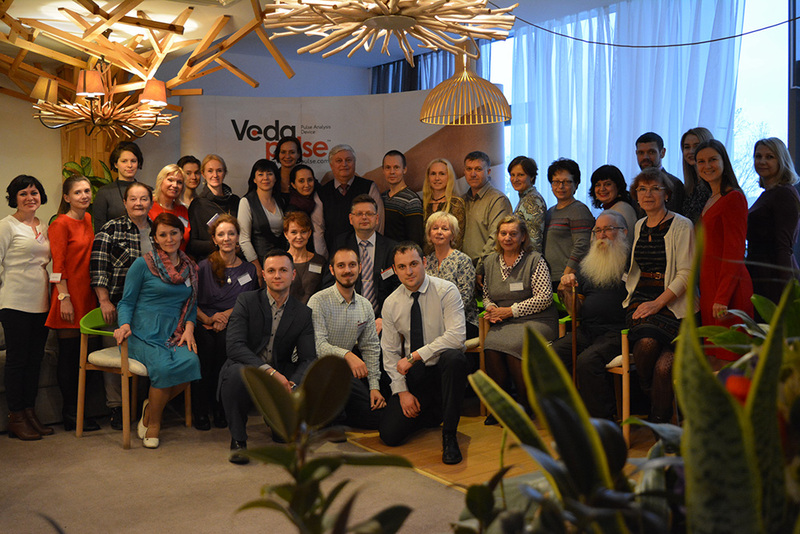 They have received basic and advanced skills in interpretation of diagnostic data of the VedaPulse system, studied the peculiarities of working with a full range of the VedaPulse modules. 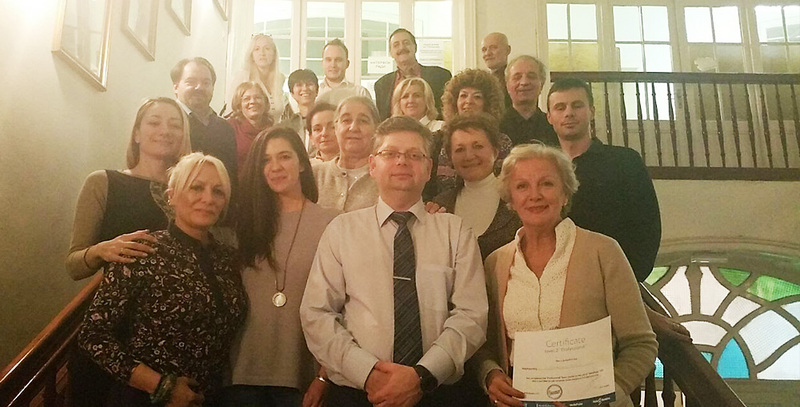 This year, two seminars in Serbia were held for specialists in quantum medicine. 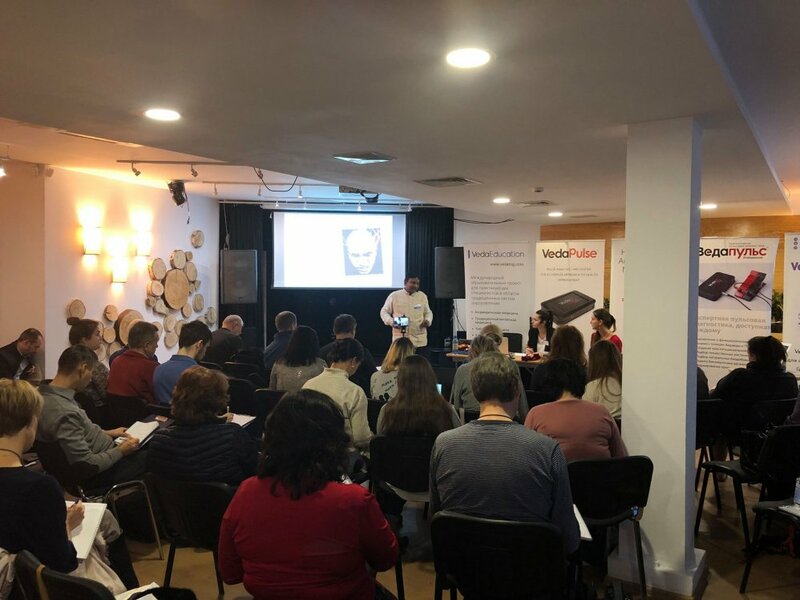 At the end of the seminar and after visiting the Museum of Nikola Tesla, many thoughts about the perspectives of EHF-therapy and quantum therapy have appeared, as well as the connection of these methods with the matter of ionosphere. 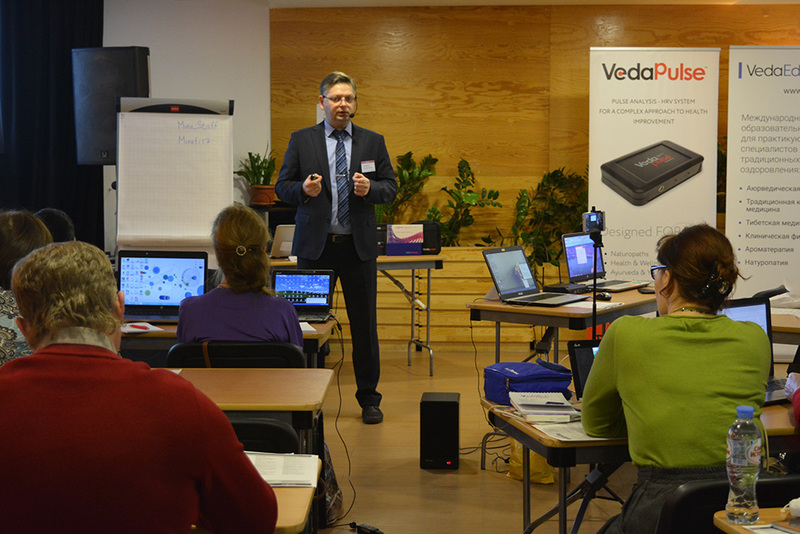 The second seminar in Serbia has given us a unique opportunity not only to share new knowledge with the users of VedaPulse, but also to get acquainted with the creator of a major international multicompany Zepter – Mr. Philip Zepter. 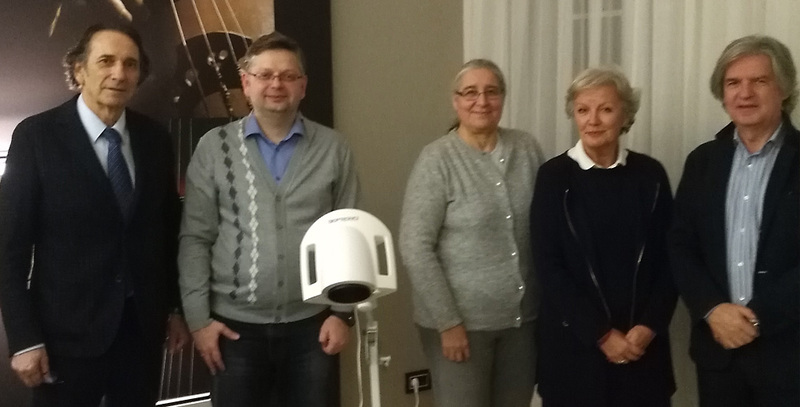 This meeting marked the beginning of mutually beneficial cooperation of Zepter and Biokvant companies by integrating technologies of Bioptron quantum therapy device and VedaPulse analysis. We would like to express special thanks to our partner in Serbia Mrs. Slavica Arandjelovic and her helpers Svetlana and Dragana! 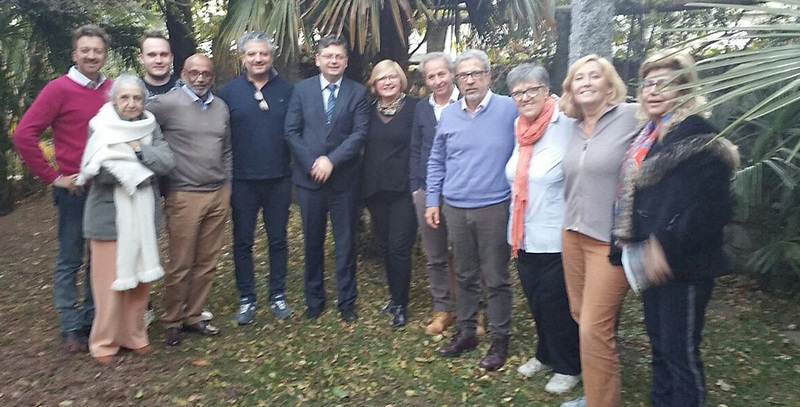 Final seminar of the year was held in Lugano, Switzerland, for Italian and Swiss experts, which has passed in a warm, friendly atmosphere. 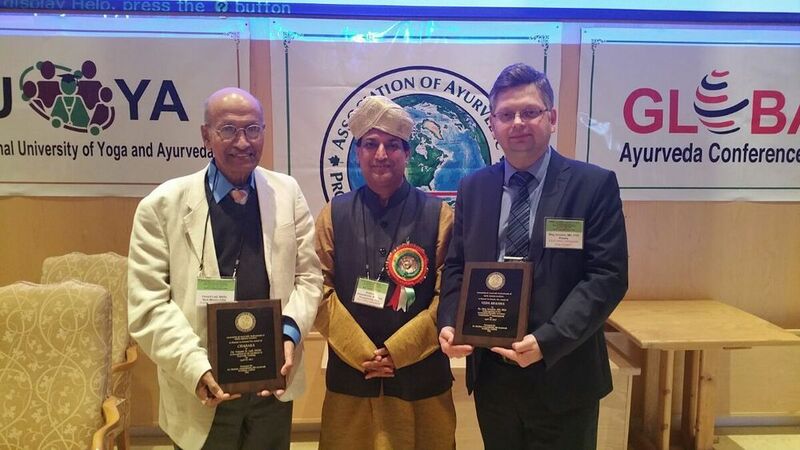 New lectures on Ayurveda and TCM have been accepted with the great enthusiasm, and we hope that this information will be used by the experts of VedaPulse for making correct decisions concerning the health of their patients! We thank our partner Ms. Valentina Domanska for organizing this wonderful event! 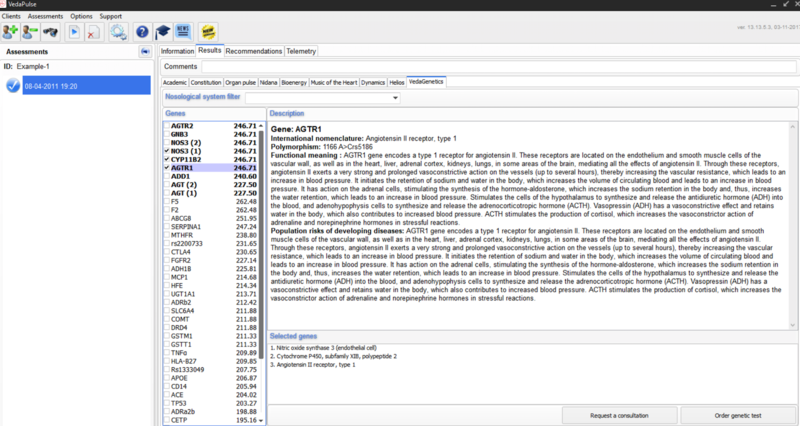 VedaGenetics — at the same time, it is both a new project, which combines 2 approaches to the estimation of disease development risks – constitutional and genetic, allowing not only estimating genetic risks, but to receive recommendations on their mitigation with the modalities of traditional medicine, and a conceptually new module for VedaPulse system - VedaGenetics, allowing to educe the genes after the assessment, which are prone to the development of certain genetically determined diseases. VedaEducation — is an educational project, providing intramural and online programs on Ayurveda and TCM and other types of traditional medicine. The lecturers of the programs are academics known all around the world: Vasant Lad, Robert Sloboda, Ram Manohar, Vaidya Atreya Smith, Shekhar Annambhotla, Mikhail Subotyalov and other specialists. VedaMinerals, designed for mineral therapy using tourmaline applicator. This method combines the features of non-invasive electroacupuncture with biofeedback function based on the unique property of tourmaline to change its electrical properties in response to changes in the body temperature (pyroelectric effect), dosing the power of influence on the biologically active zone. It is a very easy and effective method for practical use. 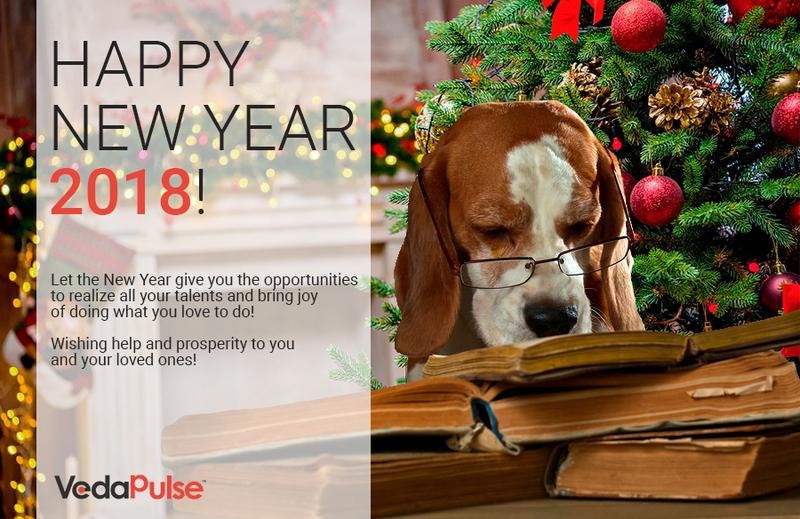 Organ pulse – one the main analytical modules of the VedaPulse system was greatly boosted in 2017. 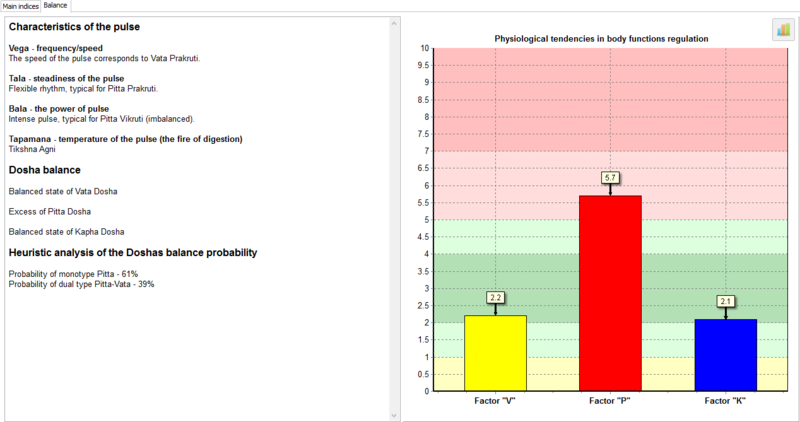 Two new data display types were introduced – morphological and functional state evaluation, which is extremely important for making a correct diagnostic decision. Read more about the new functionality via the link. DOSHA balance – now, in addition to Doshas’ imbalance, a TriDosha state is also taken into account, which expanded the capability of the modules included in the Recommendations section ("Lifestyle", "Diet therapy", "Aromatherapy", "Herbal therapy"). Besides the tasks related to the correction of the imbalances, a new option of preventive therapy was added up — health support. We have added an heuristic algorithm, which estimates the constitution type in cases of the unmanifested imbalance. The algorithm forecasts the possibility of future imbalances in situations, when some tendencies are only appearing. It is always better to prevent the disease before it has developed. 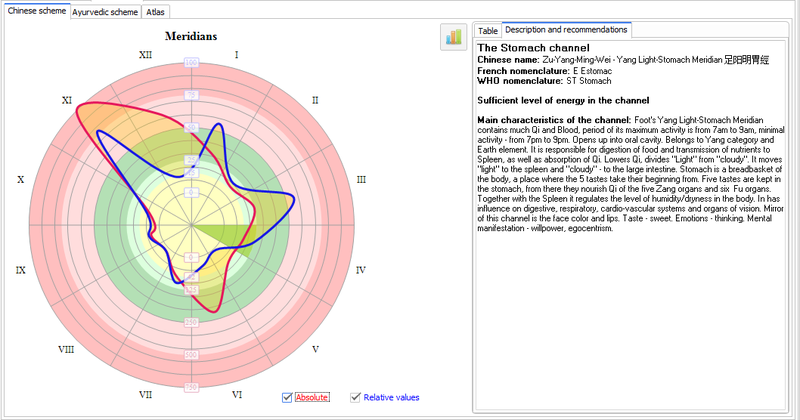 Meditation – this module was greatly modified in a better way. In the new version with subscription, you can monitor some important quantitative parameters online – growth of total power of energy, decrease of stress level, balancing of the restoration and spending of the energy. All of this gives a specialist an opportunity to evaluate the effectiveness of meditative training objectively. On top of this, we have added an important means of calibration of the breathing cycle duration – breathing timer, which allows performing meditation more effectively, as well as using breathing techniques. Lifestyle – in the new version of the module, lifestyle recommendations are given for each of the 10 basic types, including 3 monotypes (Vata, Pitta, Kapha), 6 dual types (Vata-Pitta, Vata-Kapha, Pitta-Vata, Pitta-Kapha, Kapha-Vata, Kapha-Pitta), and 1 balanced TriDosha types. In the updated version of VedaPulse there is a choice of lifestyle for each type in case of the obvious probability of dual types. •	Ideal regimen of the day. Software Subscription System – the system of modules administration was reorganized. We have launched a subscription. Starting from November 2017, each user of VedaPulse HSK has the right to choose the most suitable way of working with it: to purchase an annual subscription for the updated version or to continue working with the old version without a subscription. The advantage of having the software subscriptions is that the user gets access to the extended functionality and new modules, the ability to upgrade for free within a year. To buy the subscription, please contact us at mail@vedapulse.com. In total, there were six updates of the VedaPulse software, which included various improvements. At the finish line of 2017, we are bursting with new ideas. VedaPulse has been developing for seven years and we can say that our project is deeply embedded in the history of the modern development of Ayurveda and other holistic sciences. Keep in touch and you will be in the flow of the most important events in the world of Traditional Medicine! We wish you a very happy coming New Year!